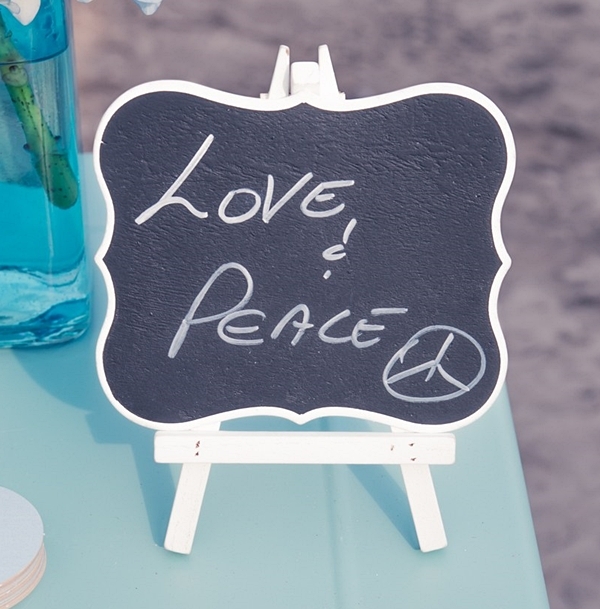 Dimensions: 3 3/4" x 4 1/3"
These medium-sized double-sided mini chalkboards will make perfect buffet markers or place cards at your shabby chic-themed wedding reception's tabletops when paired with our medium-sized mini wooden easels, available separately as Product Code: ER-9585-08. PLEASE NOTE: Pictured easels and chalk are not included. Sold as a set of six (6) and prices quoted below are per set.